1. Gather lots and lots of fresh magnolia leaves. Ask a friend to for their leaves, "borrow" some from a parking lot tree (wink wink), or order some from eBay. 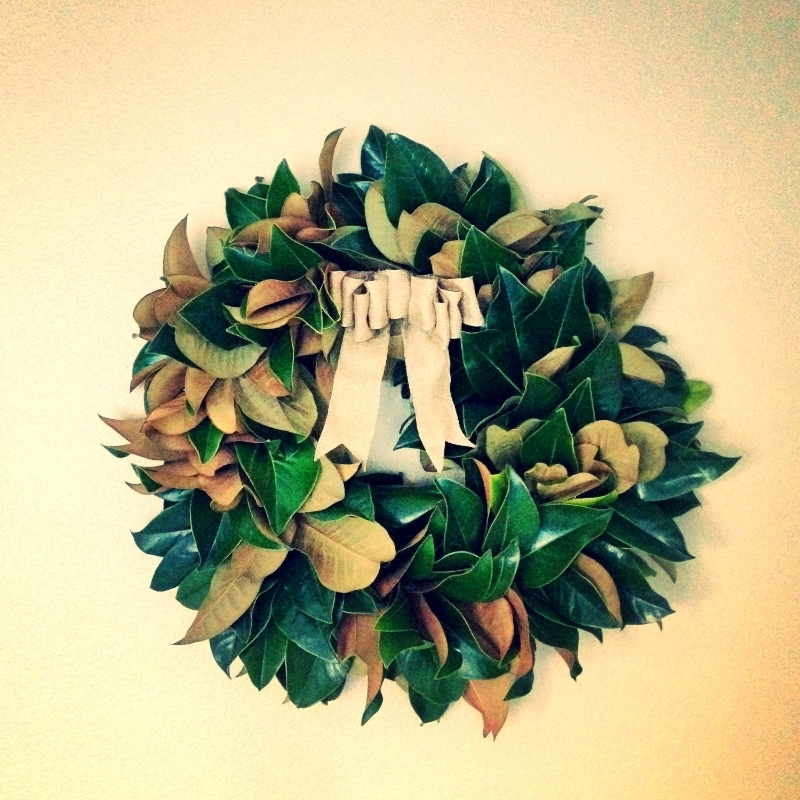 You'll need about 300 + leaves for a wreath this size. 2. Rinse off the leaves and let them dry. Cut branches into a manageable size--no more than 3-5 leaves and stems no longer than 7 inches. With 3-5 individual leaves, make little bundles. Alternate the leaves to show both the brown and green sides, and wire them together onto a wood pick. 3. Begin tucking your bigger branches into the wreath form, working in one direction. I went counter-clockwise. Secure these branches with wire or hot glue as needed. 4. Fill in any gaps with the individual leaf bundles you made. Wire them in securely! 5. Hang up your beautiful wreath, add a bow for a super festive look, and enjoy the holidays!